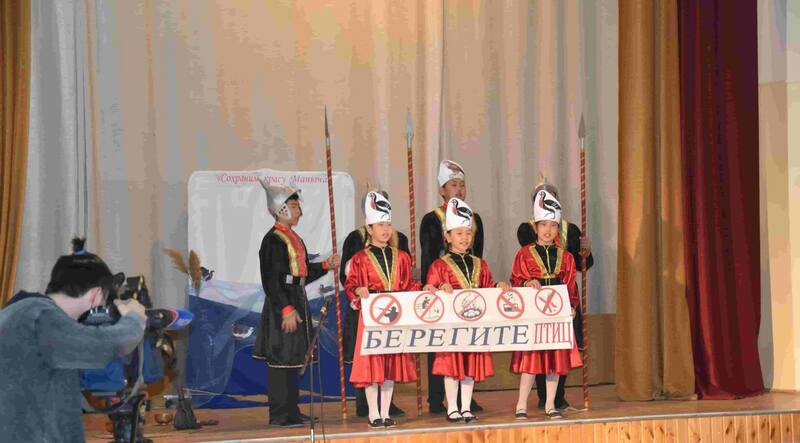 On 29th March on the stage of the assembly hall of the Russian National Gymnasium in the framework of the Year of the Theater, the Republican contest of theatrical performances “Red-breasted Goose – Beauty of Manych” was held with the support of the international flyway project for the preservation of these rare birds “Life for Safe Flight”..
From the beginning, the children from the Malomerdebetovska High School “BB Badmaeva” set the tone for the whole event, showing hard work and artistry. Many performances on the subject were so bright, colorful, emotional that it was impossible not to live it up with the performance. And who, if not masters of their work, can appreciate the work of pupils in art of the theater. That is why the honorary artists of the Republic of Kalmykia Natalia Gadanova and Tamara Parayeva were invited as members of the jury. 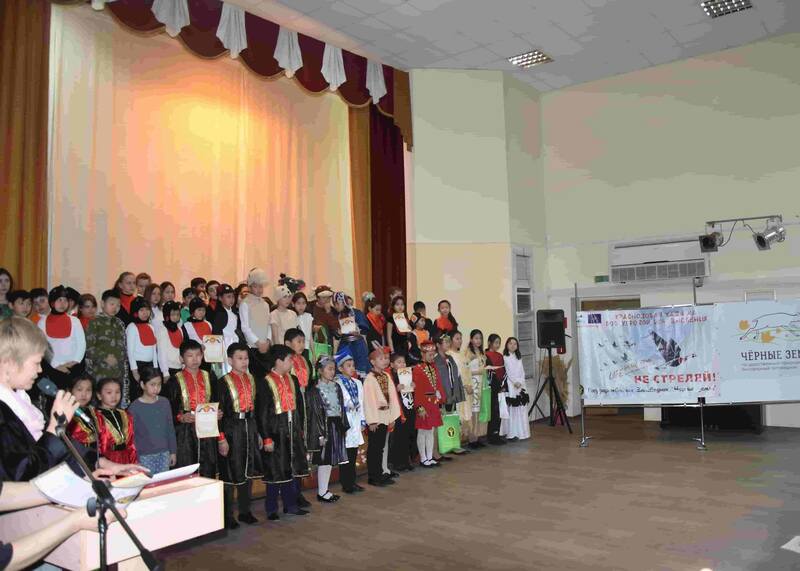 A total of 13 teams participated in the competition: three of them were from Elista schools and 10 from different regions of the Republic, winners in the municipal phase of the concurs. The work of jury members was not easy, there were disputes, but since this event was a race, three winners had to be identified. 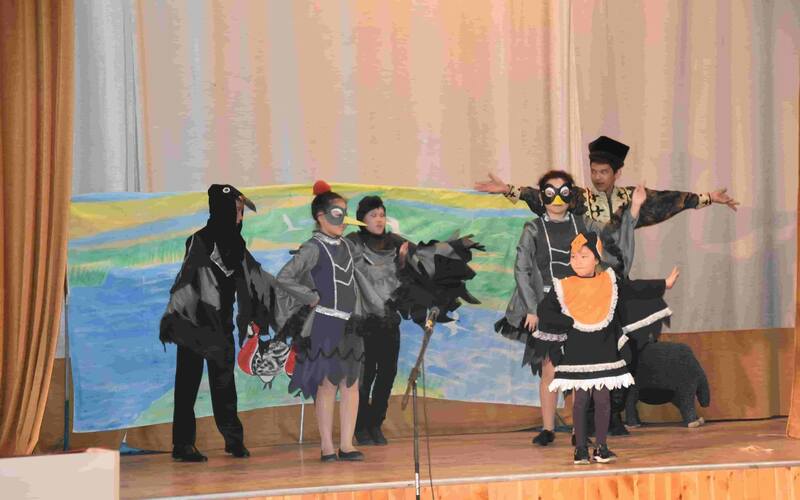 So, the winners were the participants from the “Bovan Badma$ High School of Buga-Chonosov district of the Celine region with the performance “People and birds ¬ together”, the second place was awarded to the Utiny Secondary School “B.A. Shiryieva “from the Yashkul district and third place – Tuktin district High School “B.B. Dordzhieva ” from Ketchenerovsky region. Most importantly, the aim of the organizers of the management of the reserve “Chernie Zemly” and the Ecological and Biological Center for Students has been achieved – to reach out to the childrens’ attention about the problems of protecting the beautiful Red-breasted Goose, which is threatened by extinction, through engaging the creative abilities of children in dramatization. The competition was held on the eve of the International Day of Birds, which is celebrated annually on April 1.